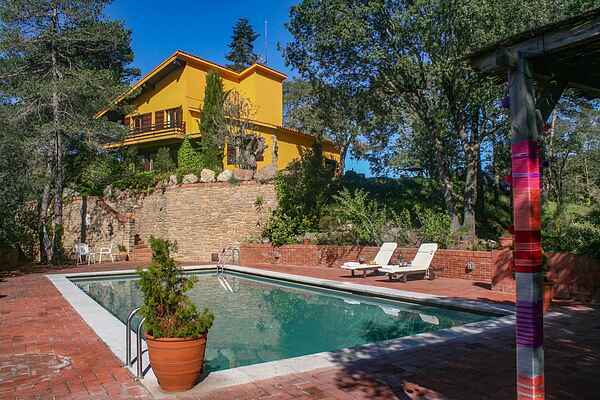 Beautiful holiday home with private swimming pool at only 50 kilometers from Barcelona. Privacy, comfort and peace are important characteristics of this house. The decoration all over the house makes you feel as at home. From your terrace you can enjoy the silence of the wood. There are 4 large and bright bedrooms which gives plenty of space for everyone. The house is on a plot of 5500 m2 fully well maintained gardened and with a big swimming pool. In the house is even Netflix and HBO present. Situated in the middle of forests and mountains. There is a small shop with the most important foodstuff as fresh bread and food at only 600 meters away. The nearest bigger village is at 5 kilometer. Sant Quirze Safaja is well located and communicated strategically so that you can make day trips to the Pyrenees, Barcelona, the Costa Brava, Vic, Ripoll, Montserrat.